One of the final direct dtrs of Maryrose: Mango! The Swiss Expo - the place to be this weekend! One of the World's greatest Sanchez dtrs!! 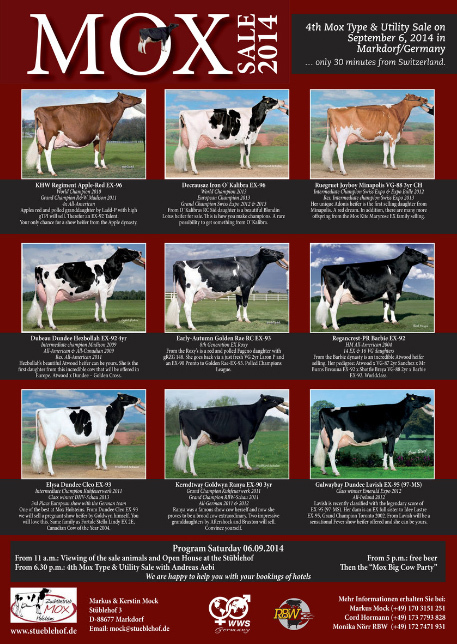 Mox Debonair Marmara VG-89-DE 3yr. Close related to Wendon Prude EX-95! Mox Atshott Mango VG-87-DE 2yr. Direct daughter of Mox Kite Maryrose EX-90-CH! Grand daughter of the legend APPLE-Red!! Mox Aliyah *RC VG-88-DE VG-88-MS 3yr. 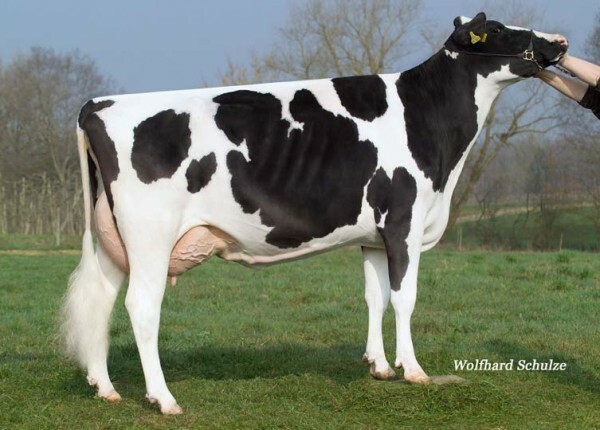 Daughter of the famous Hobbies Princes EX-90-DE!! Fantastic Brown Swiss show cow!